Gold fell just below $1,200 an ounce in August and many on Wall Street are now whispering that a bottom is in place. A new MarketWatch article entitled: "Why Gold Prices May Have Already Bottomed" highlighted a few key reasons that Wall Street pros are picking up bargain basement prices in gold right now. The good news is that you can too! (See our simple 3 step guide to buy gold at the bottom). In the first half of 2018, central banks added a net total of 193.3 tonnes of gold to their reserves – an 8% increase from the same period in 2017. This marks the strongest first half for gold central bank buying since 2015, a new World Gold Council report said. As governments around the world seek to diversify their reserves away from the U.S. dollar, gold is increasingly becoming an important component of central bank purchases. For decades the U.S. dollar has been the world's "reserve currency." For now it still is. But, history shows that reserve currencies do change over time. It's not "If" but "When" the U.S. will lose the reserve currency status. When that happens, central banks will be less inclined to hold significant amount of U.S. dollar reserves, which means they will sell our currency, likely pressuring the value sharply lower. Previous reserve currencies included the British pound sterling, the Spanish dollar, and before that the gulden from the Netherlands and the fiorino from Florence. Central banks are buying gold because it is a recognized currency and asset in all countries around the globe and is not tied to the rise or fall of any one nation's fortunes. This is another signal that the gold market may have already bottomed out. In late September, gold giants Randgold and Barrick Gold agreed to a merger that will create an $18.3 billion gold mining giant. Mergers are viewed as a signal that an industry is at a turning point. Frank Holmes, chief executive and chief investment officer at U.S. 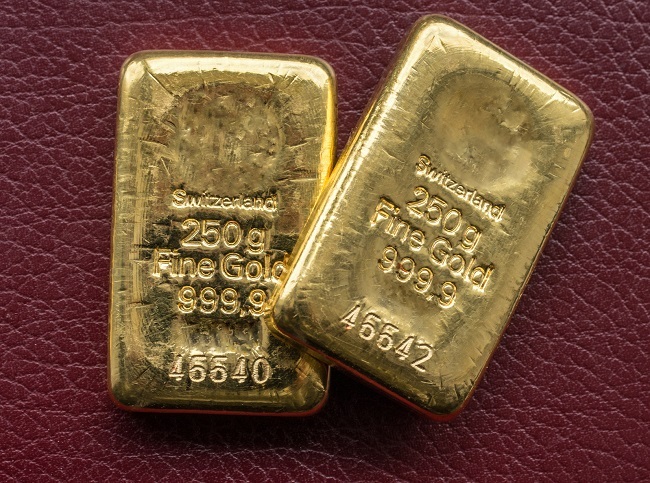 Global Investors believes the gold merger is "positive for the industry" and signals a “once-in-a-generation buying opportunity” for investors, the MarketWatch article said. There are different weights of gold coins available, so investors can buy coins that are as little as 1/10 of an ounce up to the more standard one-ounce coins, in addition to larger bars for investors making a more sizeable investment. 2. Purchase easily online and Blanchard will ship directly to you. 3. If you'd like to speak with an expert before you buy, contact Blanchard and let us help you build a solid portfolio that matches your personal financial goals. Discuss your financial goals and risk tolerance level with a Blanchard portfolio manager. We will take the time to learn your investment objectives, investment time horizon and risk appetite before recommending products for your consideration.